ATHENS (Reuters) — Greece expects its economy to exit recession and return to growth next year, driven by private demand and new investment, and vowed in its 2017 budget to continue fiscal efforts to emerge from a lengthy crisis. The economic downturn has wiped out 25 per cent of national output since 2008, with a string of recessionary quarters interrupted only by a hiatus of marginal growth in 2014. For next year, authorities predicted a 2.7 per cent economic expansion, supported by the trickle-down impact of bailout cash inflows and resurgent private demand. The budget, submitted to parliament for approval, projected a primary surplus — the fiscal balance excluding debt servicing costs — of two per cent of GDP next year, compared to an above-target 1.1 per cent of output in 2016. Greece signed up to an international bailout deal, its third since 2010, in July last year. It has received about 240 billion euros in bailout loans so far, and is the most indebted country in the euro zone. One in four Greek workers is unemployed. Gross domestic product is expected to contract by 0.3 per cent this year. The national debt will be equivalent to 176.5 per cent of GDP in 2017, according to the budget, nearly four points lower than this year. 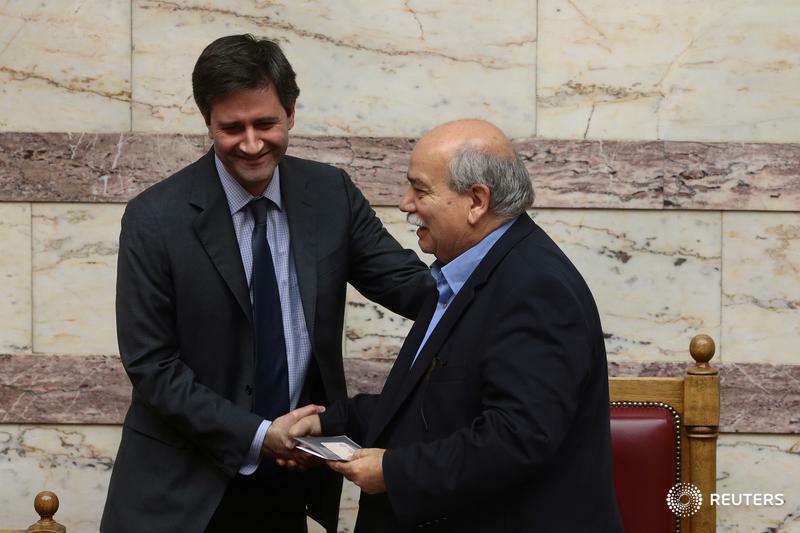 Athens will miss its privatisation revenue target of 2.5 billion euros in 2016, raising roughly 500 million euros. It sees revenues of 2.03 billion euros next year, mainly from the sale of regional airports and gas grid operator DESFA, and from the lease of the former Athens Hellenikon airport. Parliament is expected to debate and take a vote on the budget in early December. Unemployment is projected to fall slightly, to 22.6 per cent from 23.7 per cent this year, which is more than double the euro zone average. The European Union and the International Monetary Fund are still at odds over the primary surplus Greece can retain beyond 2018, with the IMF insisting that a 3.5 per cent target is "unrealistic" without significant debt relief. Representatives of the lenders arrived in Athens last week to discuss unpopular labour reforms and fiscal targets as part of the country's second bailout review. Prime Minister Alexis Tsipras wants the review wrapped-up before a Dec. 5 meeting of euro zone finance ministers in Brussels. That may help Athens qualify for the ECB's quantitative easing programme and return to bond markets by the end of 2017, government officials have said. Tsipras hopes these developments can help convince austerity-hit Greeks that their sacrifices are paying off. "A debt restructuring and a return to capital markets ... will be a first step towards exiting supervision," government spokesman Dimitris Tzanakopoulos told Skai TV.